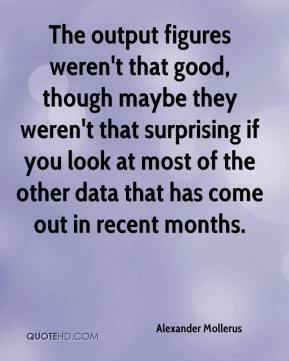 The output figures weren't that good, though maybe they weren't that surprising if you look at most of the other data that has come out in recent months. 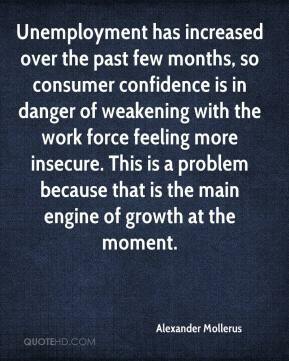 Unemployment has increased over the past few months, so consumer confidence is in danger of weakening with the work force feeling more insecure. This is a problem because that is the main engine of growth at the moment. 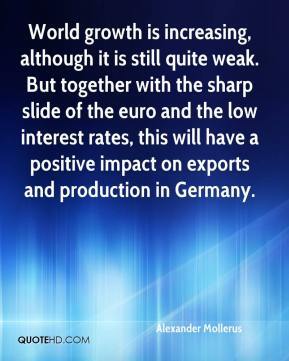 World growth is increasing, although it is still quite weak. But together with the sharp slide of the euro and the low interest rates, this will have a positive impact on exports and production in Germany.